Diamonds are a girl's best friend, and this dazzling pendant by Chopard is no exception! From the unique and playful Happy Diamonds collection, this divine accessory presents a beautiful 18ct white gold fine chain, holding a cute and traditional heart shaped charm adorned with sparkling set stones. 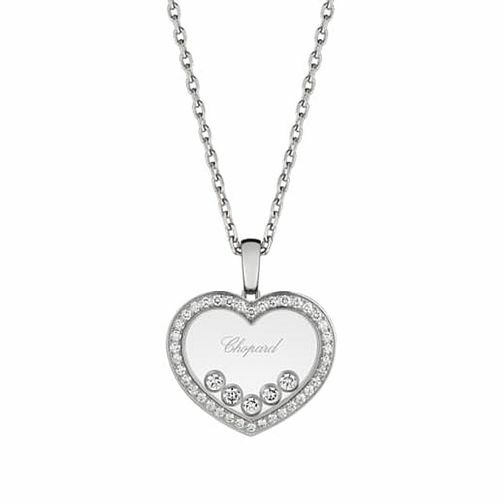 A shimmering heart border compliments the round stones upon the centre, with the Chopard logo also elegantly positioned. A stunning and sentimental jewellery piece, ideal for gifting to a special someone.